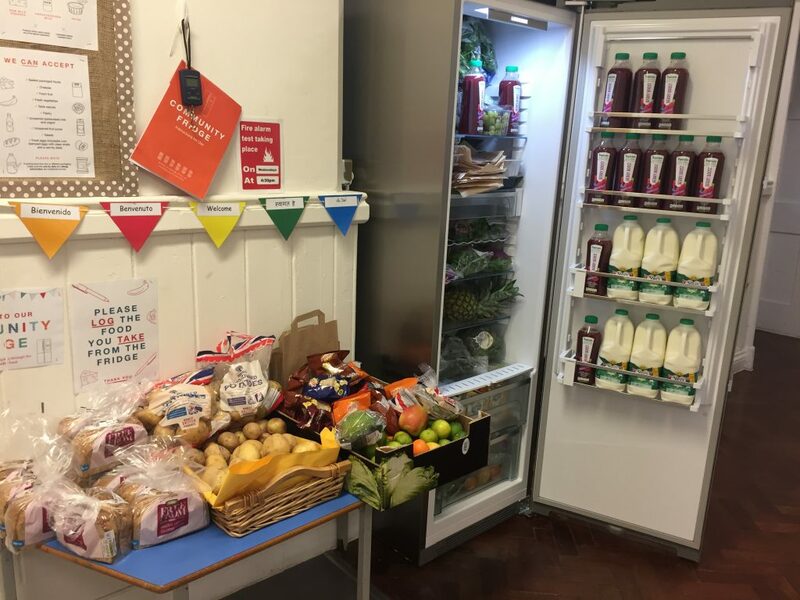 Bristol’s first ever ‘Community Fridge’, opened its doors within Compass Point Children’s Centre for a 2 month trial prior to its official launch this April. It is being supported by Bristol Food Network and the environmental charity Hubbub UK in a concerted effort to tackle food waste. Within its first month over 440kg of food was distributed which is the equivalent to 1,042 Meals. There is such a thing as a free lunch! The fridge is open Monday to Friday from 9am–4pm to enable residents, allotment holders and businesses such as supermarkets, cafes and restaurants to share surplus food and for anyone to help themselves to fresh quality produce that would otherwise be wasted. There are also recipe cards that can be taken and advice from local chefs who support the project. Volunteer opportunities with accreditation will also be available within the centre. There is a fundamental difference between Community fridges and food banks, which are seen as an emergency stop gap solution and don’t usually include fresh produce. Community Fridges do, and they exist to reduce food waste and foster a spirit of sharing and mutual support within a community. They offer a source of fresh quality food for everyone and operate on a trust basis and are not means tested. There is also no stigma attached to using them. The fridge will officially launch on 11 April from 10am–midday. Please come along to help us celebrate and see the fridge open, full of food and learn how you can get involved. The concept first arrived in the UK in 2016 with Community Fridges opening in Swadlincote, Frome and London. Now over 30 projects are running across the country. This is the start of the Bristol Community Fridge Network and we already have a number of new locations in the city waiting to be developed. The Bristol Community Fridge Network was set up by Jacqui Reeves, previous CEO of food charity, FareShare South West. To find out more information please contact Jacqui on jacqui@bristolfoodnetwork.org or Julie Long on julie.long@bristol-schools.uk. The Community Fridge Network was set up in July 2017 by Hubbub with funding from Esmée Fairbairn Foundation, North London Waste Authority, The Funding Network and Sainsbury’s and with fridges and freezers donated by Bosch. The network received a significant boost in December 2017 thanks to £160,000 of National Lottery funding from Big Lottery Fund. The network provides a free support service for any group setting up or running a Community Fridge. It aims to make it easier for new projects to become established, and to help the concept flourish across the UK and beyond. Hubbub is a UK based charity that creates environmental campaigns with a difference. They design positive and playful campaigns that inspire people to make healthier, greener lifestyle choices, which more often than not help save money and bring people together. Hubbub concentrates on things people are passionate about and are relevant day-to-day, linked to fashion, food, homes and neighbourhoods.